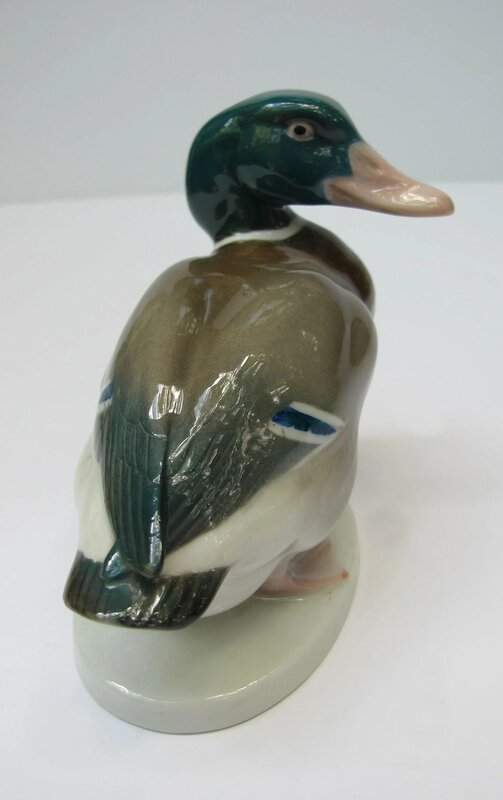 A Mallard male who’s mostly magical with his realistic rendering and familiar pose. 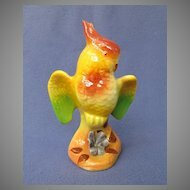 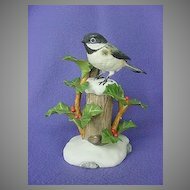 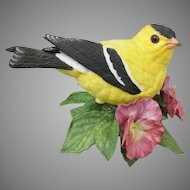 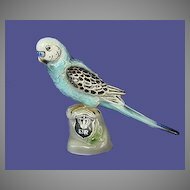 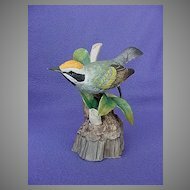 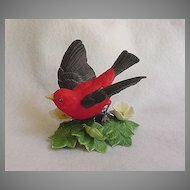 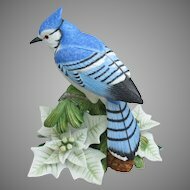 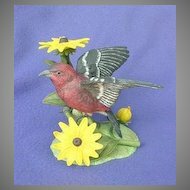 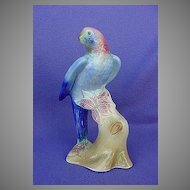 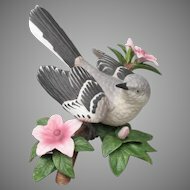 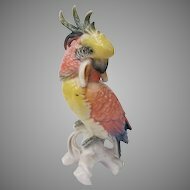 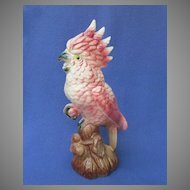 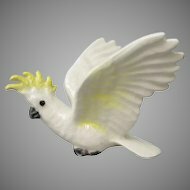 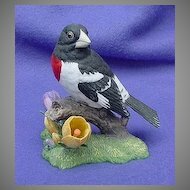 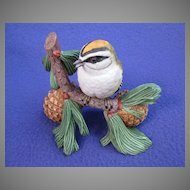 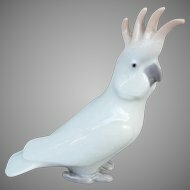 Hand painted and finished in a shiny glaze he was created by the Von Schierholtz Porcelain Manufactory in Germany between 1912 and 1972. 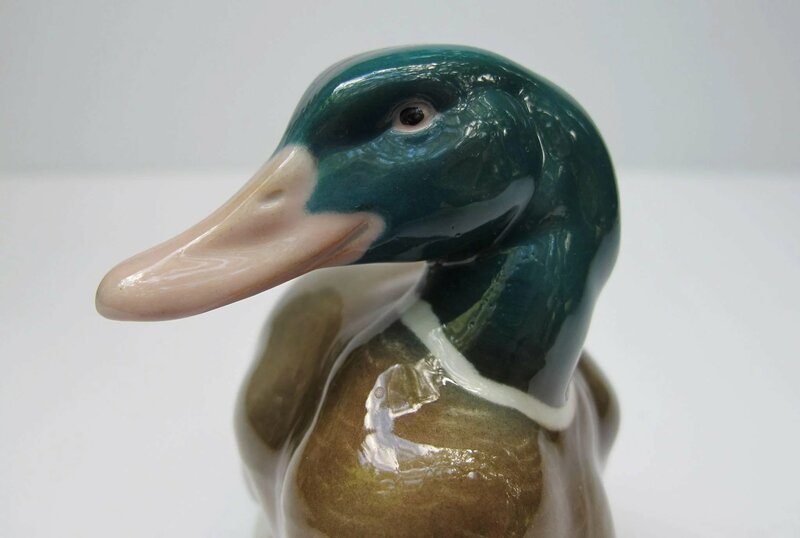 He measures 4.75 inches in length, 2.25 inches in width and is 3.75 inches high. 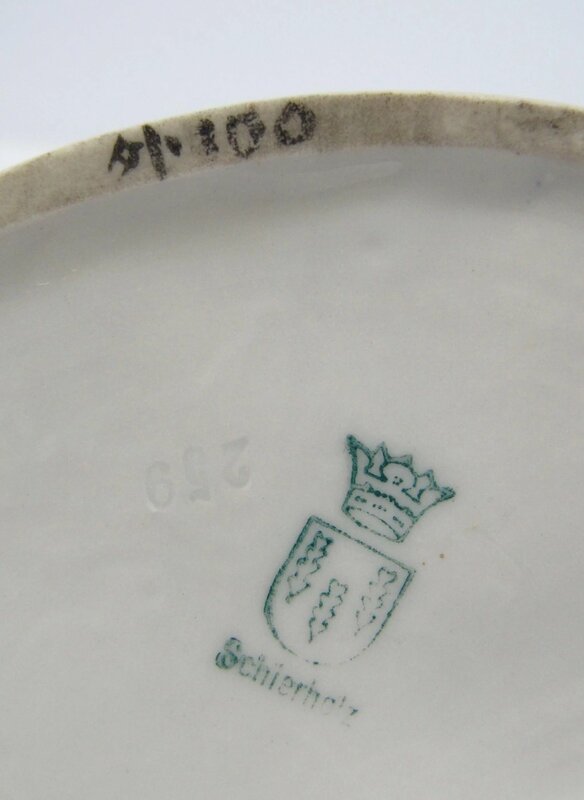 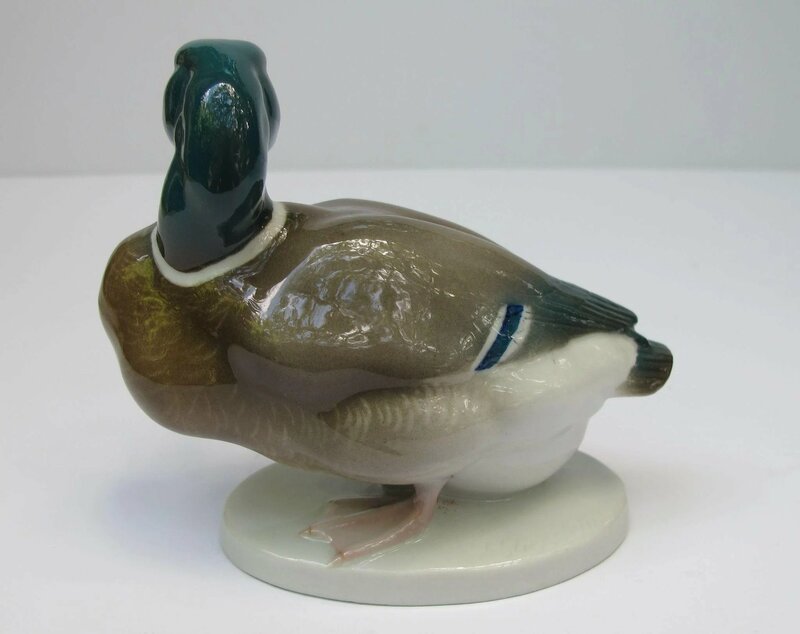 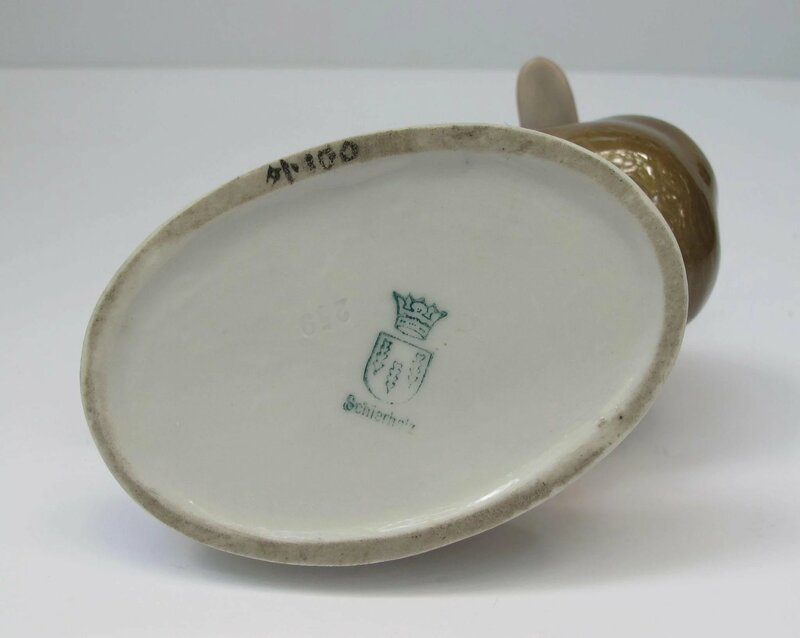 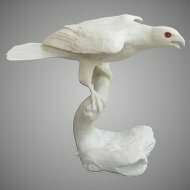 He’s in excellent condition with no chips or cracks and is marked with the company’s logo on the bottom that corresponds to the above years as well as the artist’s name, Schliepslein, which is impressed in the porcelain on the back. 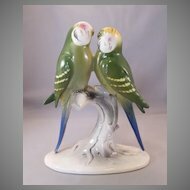 A real stand out for your collection with detail that’s delightful. 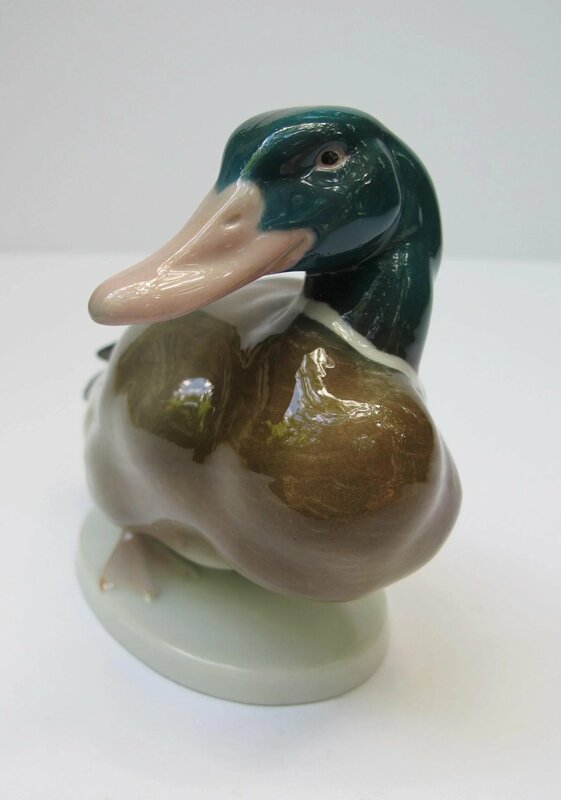 We’re certain you’ll be pleased.